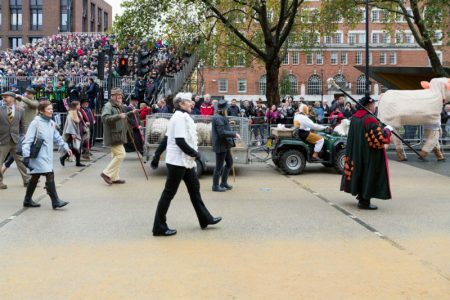 On Saturday 11th November , for the first time in recent years, the Woolmen participated in the Lord Mayor’s show with our own float. 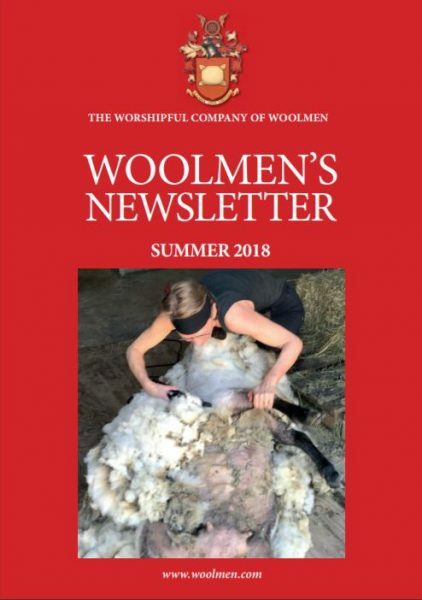 This was part of celebrating and commemorating our very great pleasure and privilege of having a Woolmen, Samantha Bowman, as our new Lady Mayoress. 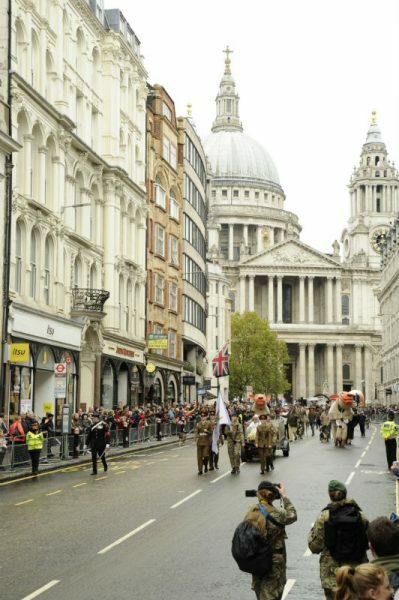 It was a superb and joyful day. 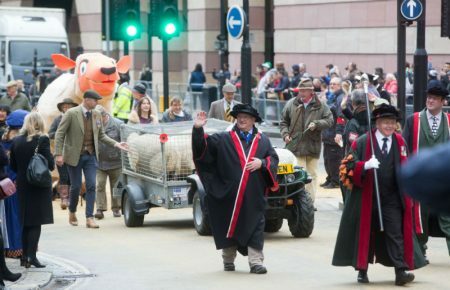 Brilliantly organised by Bill Clark, Stephen Rowland-Jones and Margaret Miller, ours was one of the most popular floats as we were baaad through the city over several hours. 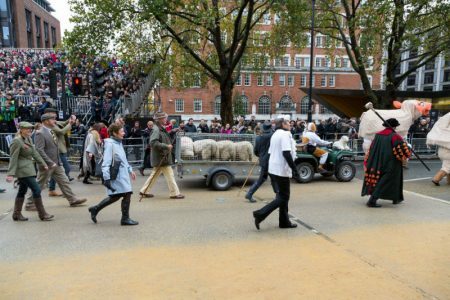 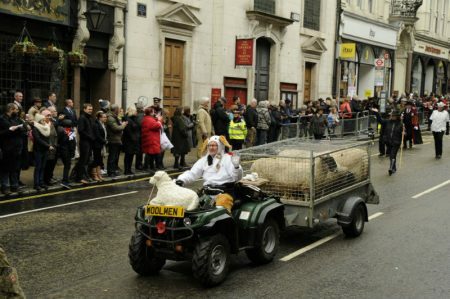 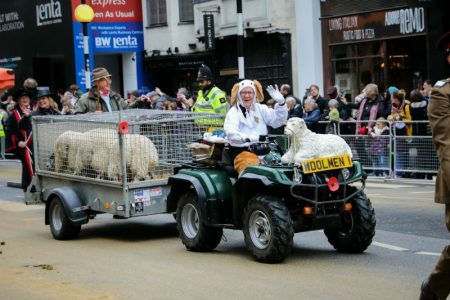 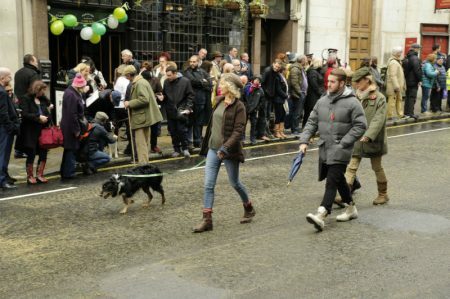 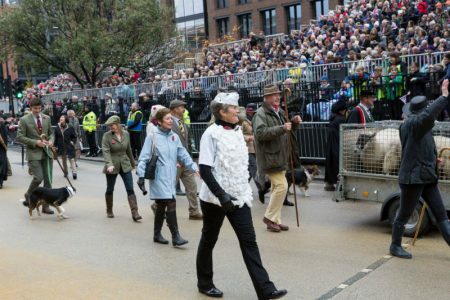 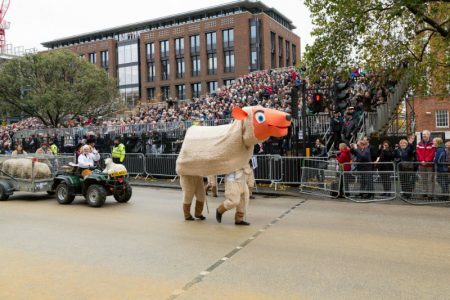 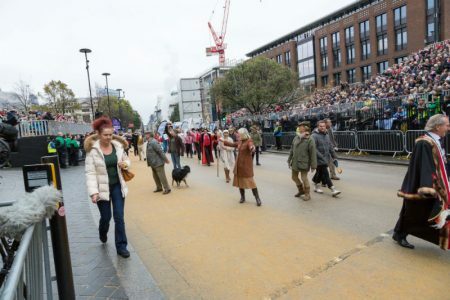 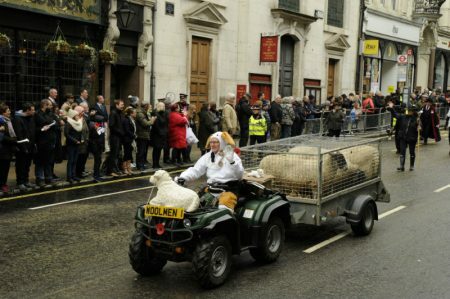 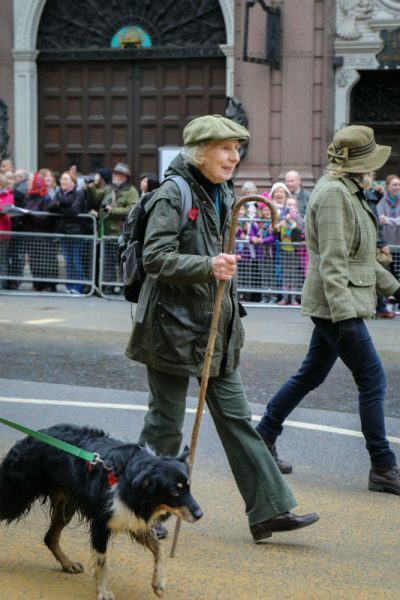 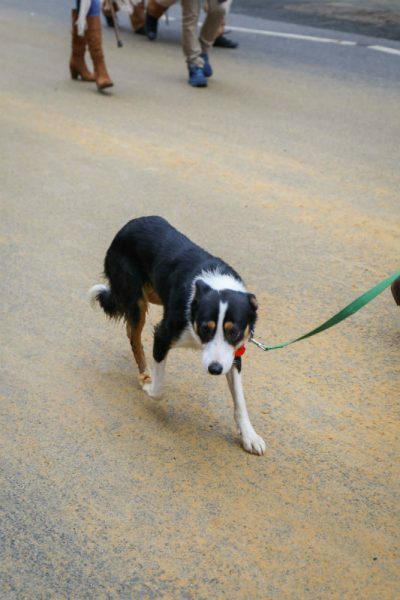 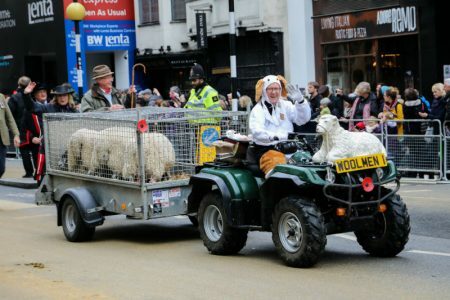 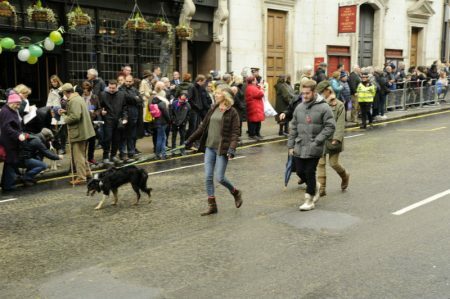 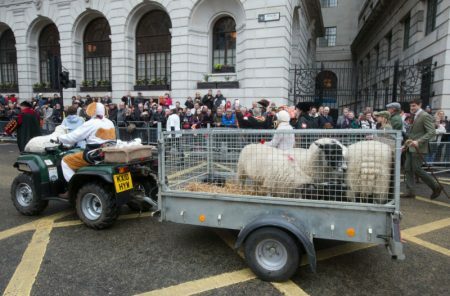 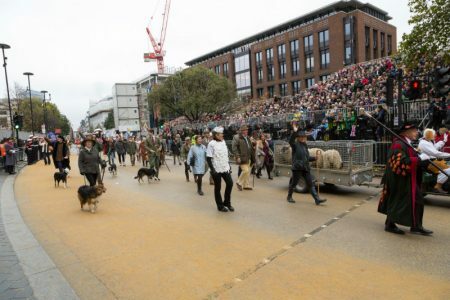 Our biggest draw were the sheep in their buggy and trailer and accompanying dogs – all supplied by those great friends of the Woolmen, David and Barbara Seamark who do such a superb job for us on the London Bridge Sheep Drive. 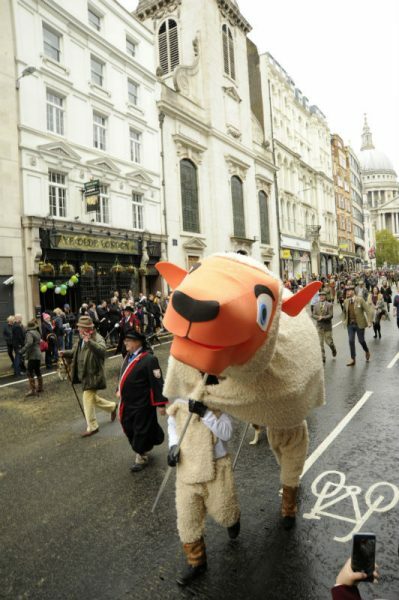 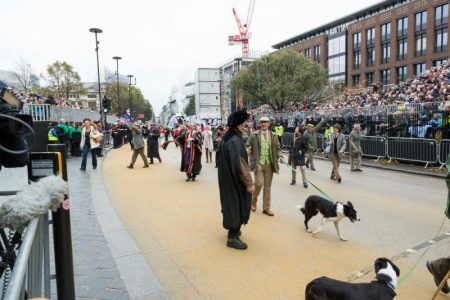 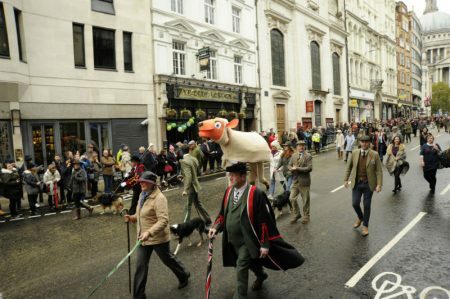 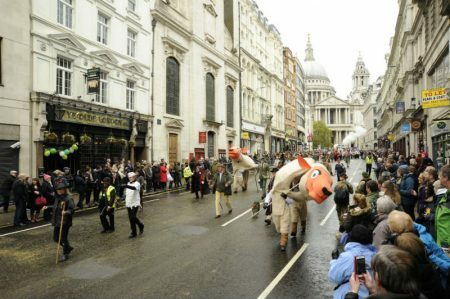 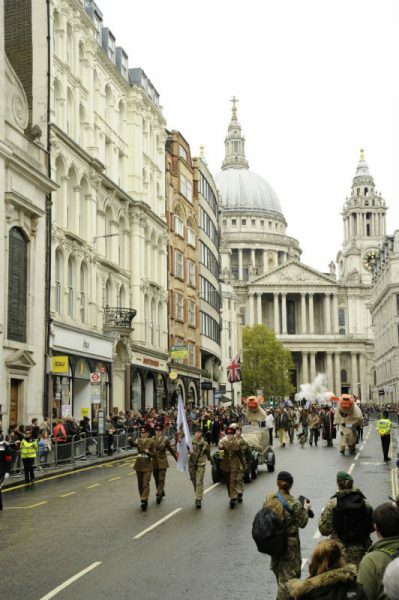 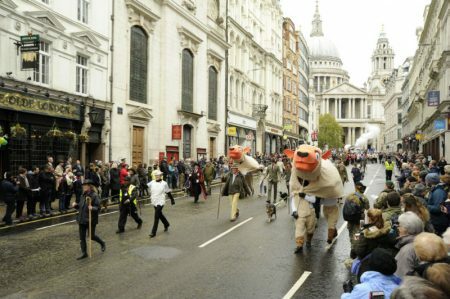 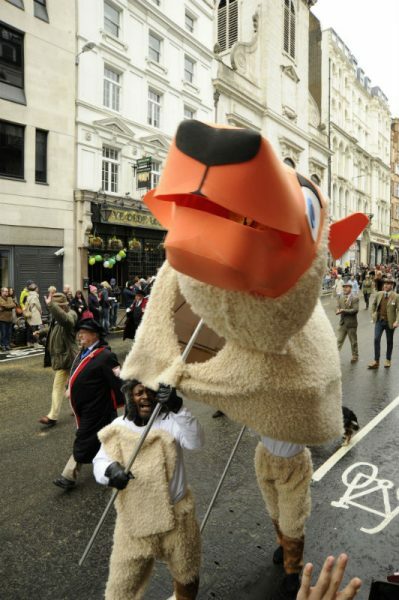 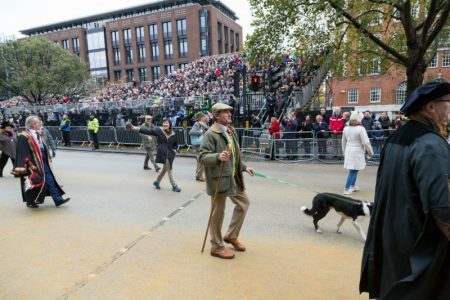 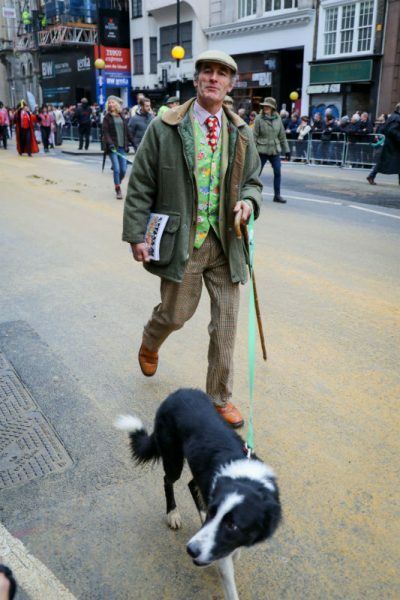 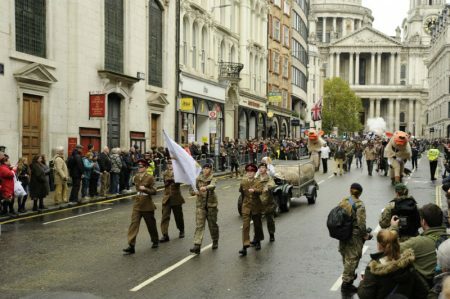 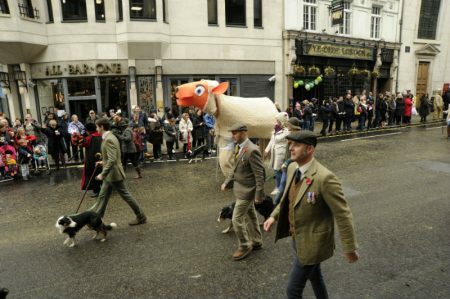 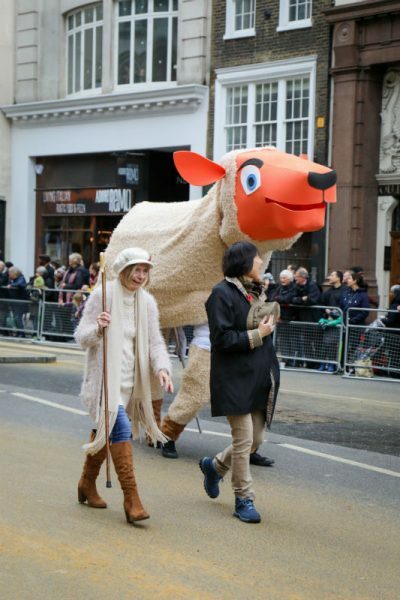 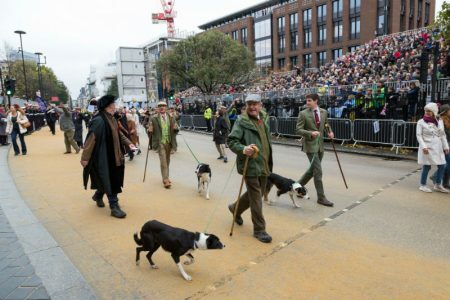 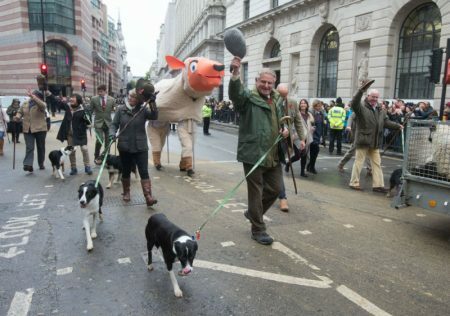 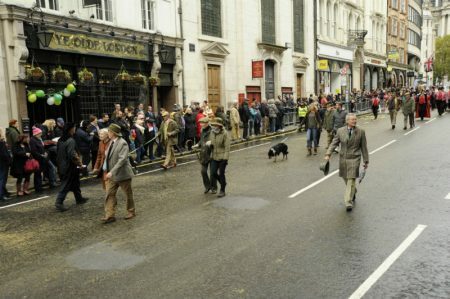 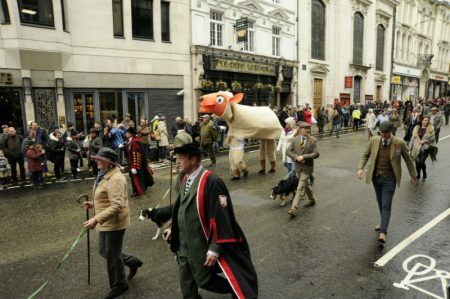 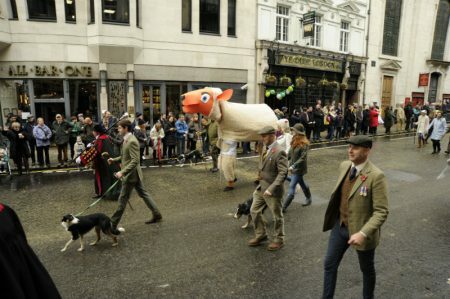 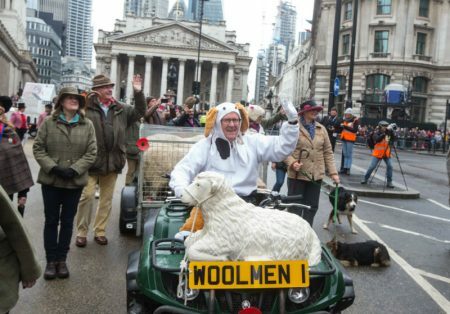 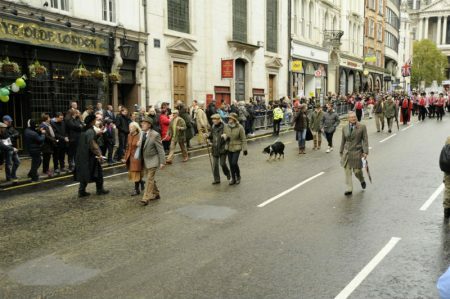 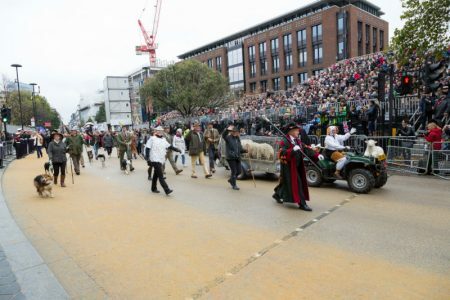 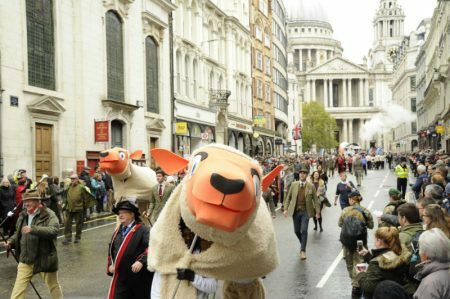 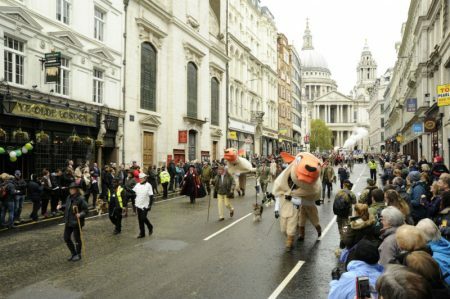 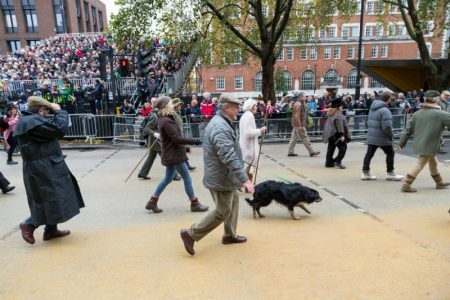 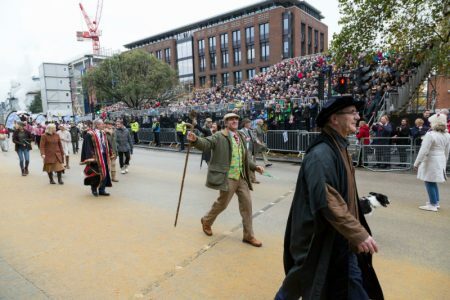 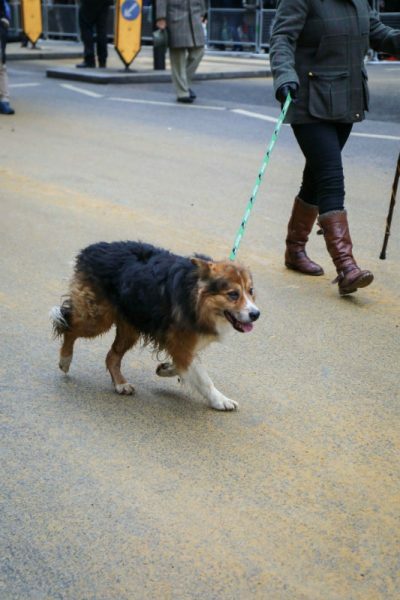 It has to be the first occasion in the 802 year history of the Lord Mayor’s Show when a Past Master of the company has driven a show vehicle costumed as a dog (see the gallery below) Bill Clark – the Woolmen salute you for this and all your many other efforts for us! 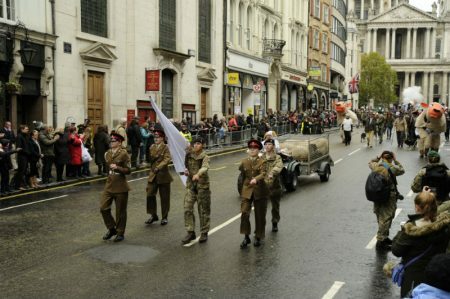 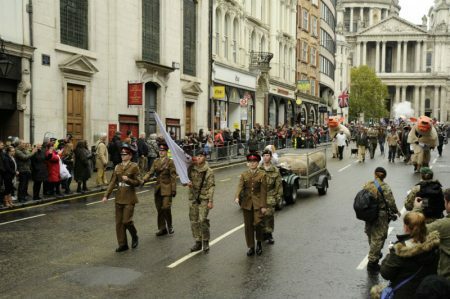 We were fully supported by our affiliated cadets from the 43 Army Cadet Detachment in East Ham (see picture) who staunchly carried our flag with the Woolmen coat of arms (gifted by the Master) for the whole show. 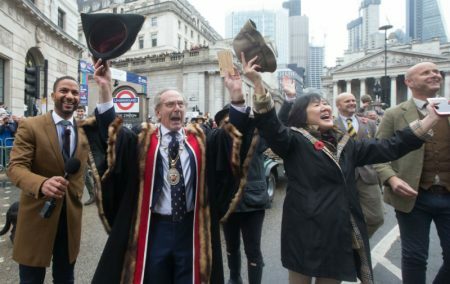 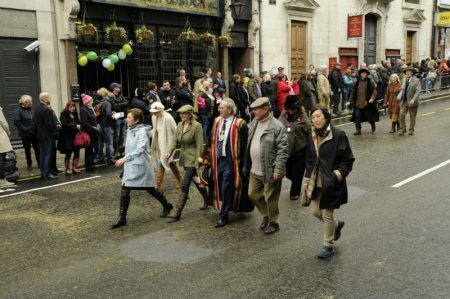 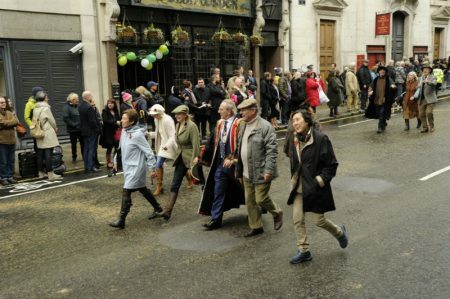 The Master, Carol and the Woolmen were greatly honoured to be invited to join the Honour Guard at Mansion House that greeted the Lord Mayor on his return to Mansion House in the Mayoral coach, to watch the return procession and then join him for lunch. 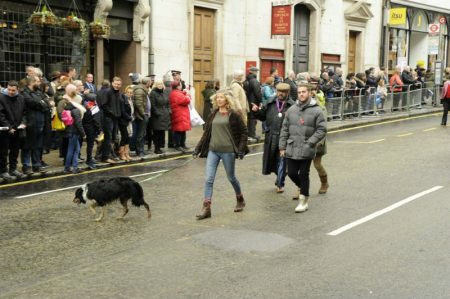 Watch us on BBC iPlayer! 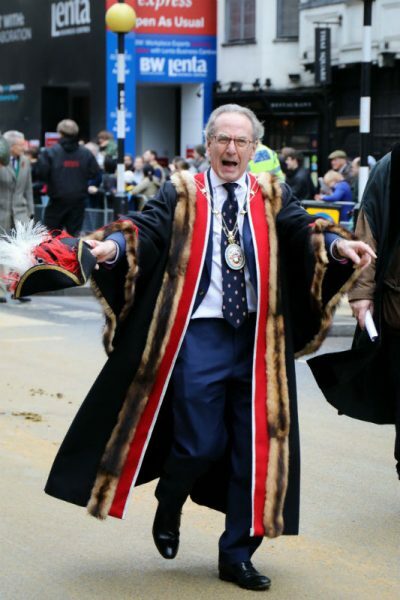 The Master gave a terrific interview to the BBC as we approached the Lord Mayor’s stage outside Mansion House; you can see this at 37m into the programme. 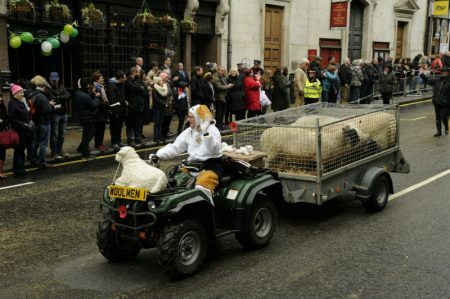 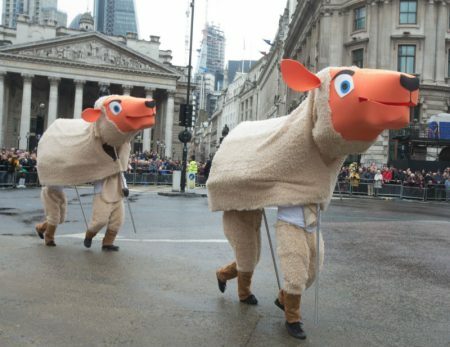 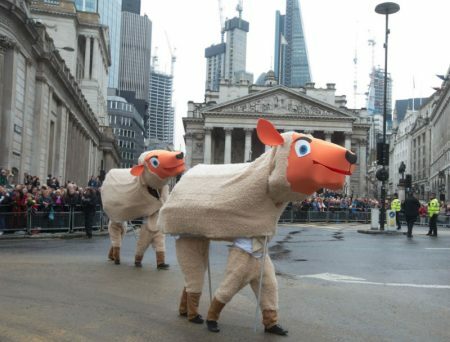 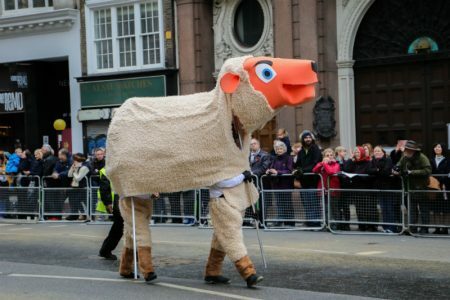 Watch out for three Baas for the Lord Mayor! 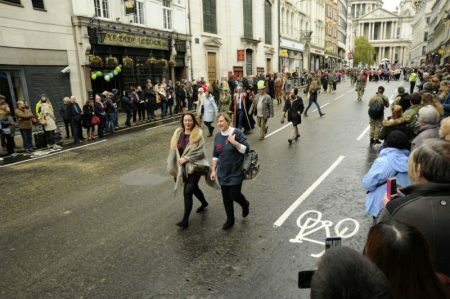 But before that, at 2m 10s, see Samantha Bowman herself riding along with her two daughters. 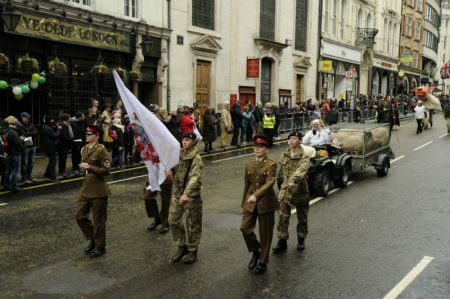 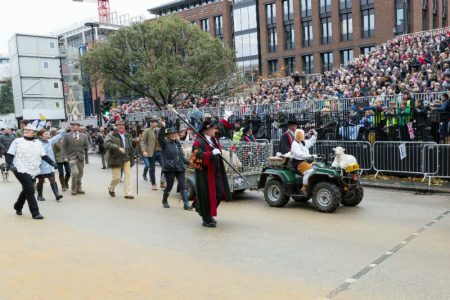 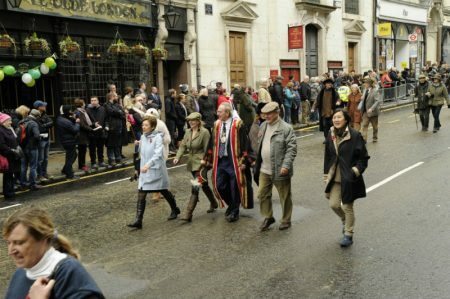 The very first occasion that a Lady Mayoress has appeared in the procession on horseback! 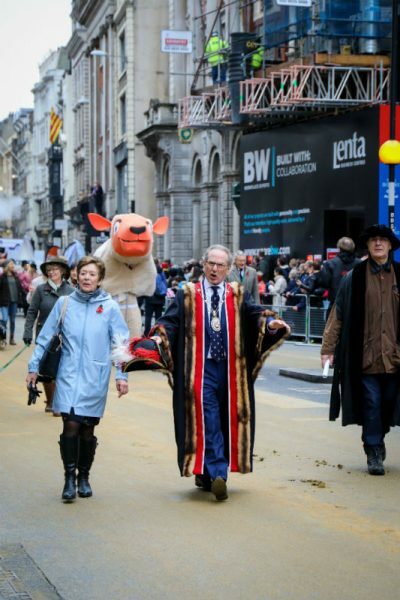 We were also privileged to fly the Woolmen flag (also gifted by the Master) on the barge Gloriana which carried the new Lord Mayor to the start of the show. 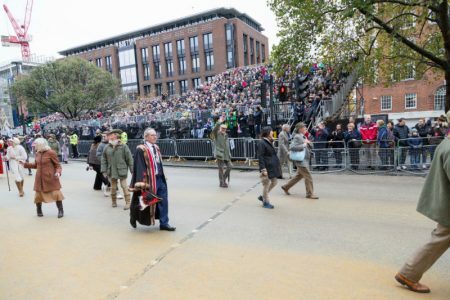 You can see Gloriana on the BBC programme at 5m10s although our flag is not visible in the clip. 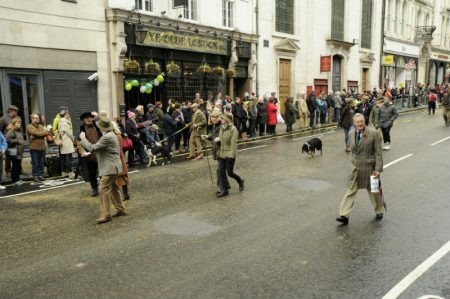 I will try to get a photograph if possible. 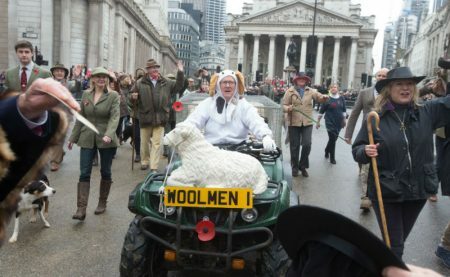 A big thank you to all those Woolmen, friends and families who contributed to make the day such a success including all of you who made pledges to support our entry. 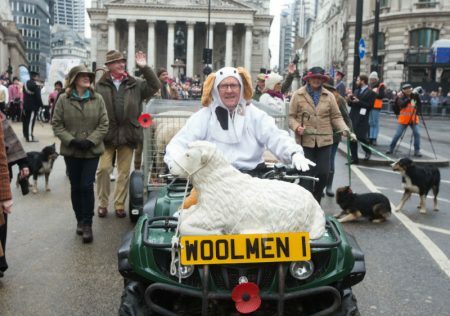 If any participating Woolmen have any photographs of the day that they would like to share please let me have them. 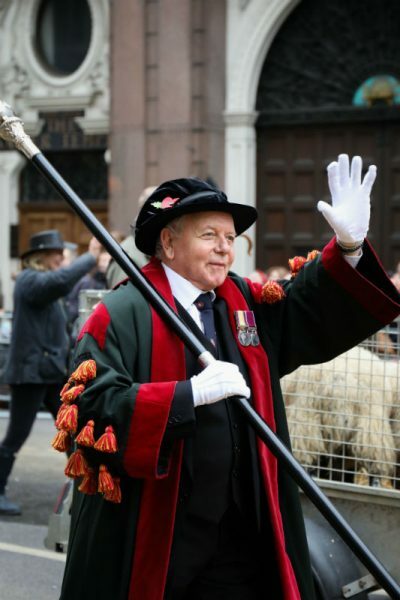 It was a memorable day for the Woolmen – a company that for at least 837 years has been at the heart of the City of London.